About Cover : if anyone who need it to protect your touch screen ,please contact our customer service . If you don't search and download Netflix in Google Play Store, you need to search "netflix apk download" in Google Chrome. You need to find it in APK Mirror, you can download any version and install it into the tablet. 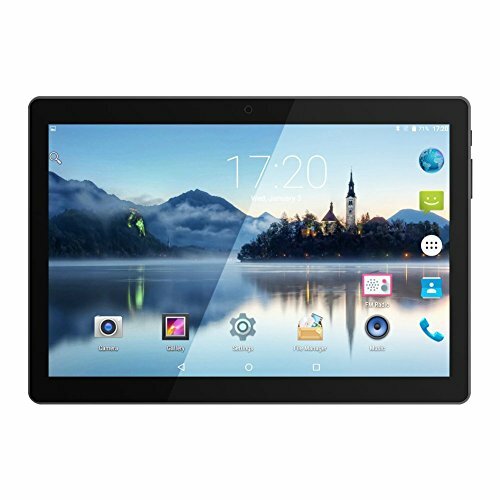 The tablet without 3G Sim Card , you should buy it yourselves . 3G network cant compatible with AT&T and Tmobile . 10.1 inch Android OS, MTK6592 Octa Core. IPS screen and a 2560*1600 screen resolution allow for an amazing viewer experience whether you are watching movies, web surfing, playing games or mulling over spreadsheets . Dual camera: 2MP+13MP. Dual SIM Card: 2G 3G (GSM: 850/900/1800/1900MHz; WCDMA: 2100/850MHz), you can use it as a cell phone. Support Wifi, you can also use it as a tablet. With 4GB Ram+64GB Rom, support TF card up to 32GB, you can download all your favorite apps seamlessly. Enjoy millions of movies, songs, apps and games from Play Store which comes pre-installed on your tablet. Built-in Wi-Fi: checking your email, read an eBook, and Skype with your friends, just so easy. Built-in Bluetooth allows easily pairing with speakers, keyboard, and other Bluetooth-enabled devices. If you have any questions about this product by Huashe, contact us by completing and submitting the form below. If you are looking for a specif part number, please include it with your message.